The Driver and Vehicle Standards agency (DVSA) announced more than a dozen vehicle safety recalls in November 2015 over fire risks, engine stalling, doors opening unintentionally and even potential unlawful hacking. Affected manufacturers include Bentley, Chrysler/Jeep, Porsche, Maserati and Mercedes-Benz. A large number of Mercedes-Benz models are affected this month. 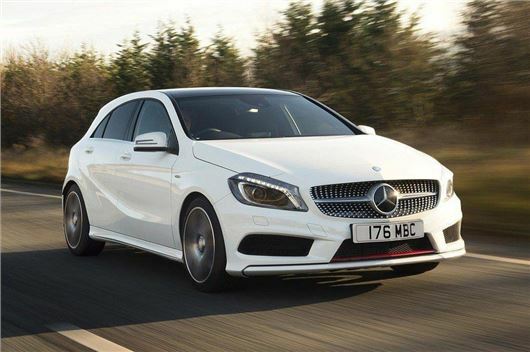 The GLA, CLA, SLK, A-Class, B-Class, C-Class, E-Class are all subject to a recall because the crankshaft may break, damaging the engine and potentially causing an accident. More than 400 cars are affected, produced between July and Septemeber 2015. The affected engine variant is not listed but, as with all recalls in this list, owners will be contacted. There is also a separate recall for the S-Class Hybrid. The internal-combustion engine may not restart automatically, though it can be restarted manually by turning the ignition off and on. A software update is required to fix the issue. More than 1000 Porsche Macan models are being recalled because of a potential fuel leak. The Mitsubishi Outlander PHEV is also being recalled because of potential fuel leaks, again with more than 1000 cars affected. The most interesting recall this month affects 49 cars built by Chrysler or Jeep. Affected cars have an 8.4-inch UConnect touchscreen which is at risk of "unauthorized and/or unlawful access, which may affect vehicle behaviour." Essentially that means they are at risk from hacking. The recall requires updated, more secure software to be installed. Not all of the DVSA recalls from November affect four-wheeled passenger vehicles and therefore aren’t featured in the table below. You can find more details on the recalls issued in November on the DVSA website by clicking on the individual entries.